Are you looking for the best wholesale deals on Men’s thermal socks for your charity or retail store? 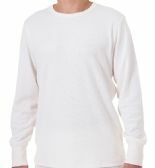 Then you really do need to take a look at the incredible bulk discounts on men’s thermals that we are offering in our collection of top-quality inexpensive men’s thermals and winter socks. We have slashed the prices on bulk cases of warm Marino wool men’s winter socks, boot socks, and thermal socks so that you can buy men’s winter socks in bulk for a charity, school or church fund or a men’s clothing retails store at the lowest wholesale prices on the market. 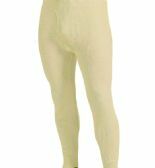 We have the biggest bulk discounts on marled thermal socks, the lowest wholesale prices on men’s thermal sets, and the best wholesale deals on men's fur-lined thermals. In fact, you get huge bulk discounts on all your wholesale purchases of men’s thermals, men’s socks and men’s clothing essentials, when you buy bulk at Wholesale Socks Deals. Fashion socks for the winter and fall for a retail store, or warm men’s thermals to keep out the cold, that you can donate to a charity or to the Salvation Army, when you buy men’s thermals and men’s winter socks from Wholesale Socks Deals, you will always get the biggest bulk wholesale discounts on the market. Don’t waste your time looking elsewhere. Don’t waste your money on low-quality, inferior goods. Buy the best quality men’s winter warm socks, thermal socks and thermal underwear from the number one supplier of wholesale socks and clothing essentials and save money for your charity or men’s clothing retail store now. 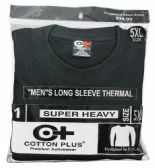 These are the biggest bulk discounts that you will find on inexpensive men’s thermals and men’s winter socks anywhere, so don’t pass up on this opportunity to stock the shelves of your retail store with high quality men’s winter apparel at the lowest wholesale prices. Our range of low-cost men’s winter socks and underwear is also ideal for donating to a charity like the Salvation Army or for buying in bulk for a charity, school or church fund to help the homeless and the poor. We have massive savings on wholesale bulk winter boot socks, amazing discounts on men’s hiking socks, and unbelievably low wholesale prices on men’s warm winter underwear and thermal socks, so check out the whole range and make your selection from the best collection of men’s thermals on the web. Whether you order one case or twenty, we deliver free to charities and to retail stores. It’s just one more way that you save money when you buy your bulk cases of discounted men’s fashion items and men’s essential clothing items like thermals and winter socks from Wholesale Sock Deals. Discounted socks are our specialty, so buy your wholesale men’s and women’s winter socks and thermals from Wholesale Sock Deals and you will be guaranteed to get the best bulk deals for your charity or retail store. 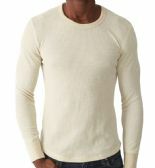 Place your order now for your bulk cases of men’s thermals and men’s winter socks, and we will get those winter warm clothes packed up and shipped out to you just as fast as we can.